CBC is a 501(c)3 charitable organization. In order to achieve our goals, we must depend on individual support, corporate donations, and public and private grants to help maintain our youth outreach programs, growing fleet, and safe operating facilities. Your donation is tax deductible to the extent provided by law. CBC is a 501(c)3 charitable organization. In order to achieve our goals, we must depend on individual support, corporate donations, and public and private grants to help maintain our youth outreach programs, growing fleet, and safe operating facilities. Your donation is tax deductible to the extent provided by law. The Community Boating Center is having an impact far beyond its stated mission. We hope you share our vision, see the possibilities, and will provide the means to help us grow. Thank you! Our annual fund challenges members, supporters, and friends of CBC to support our youth outreach efforts. Your donation helps ensure an exciting summer of sailing and paddling for deserving youth. Help provide learning materials including classroom supplies, trophies, and awards for our eager learners. 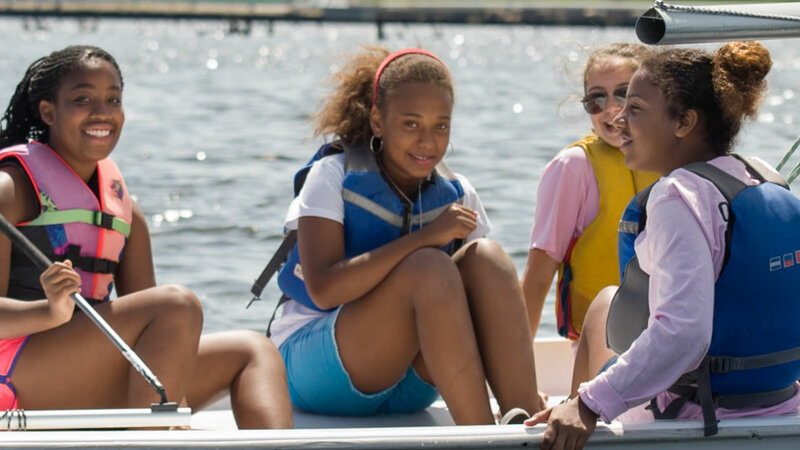 Ensure the safety of our programs with the purchase of items like a life jacket for one of our youth sailors. Join the growing number of contributors helping support our vision of utilizing sailing as a medium to positively engage at-risk youth. Help put a deserving student on the water and a smile on his/her face with a donation toward a “Sailorship” for a youth Summer Camp session. Enable a local organization of inner-city youths to discover sailing by funding a group outreach experience. Join the ranks of the many devoted founders, contributors, and angels who help us steer a proper course and ensure our long-term success! Accept this Board led challenge and enjoy a brass nameplate on a classic wood CBC deck chair serving as a reserved waterfront seat to see the impact CBC is having on Providence’s waterfront revival. Share the cost of a boat with a friend, colleague, or family member. Underwrite the cost of one of our nationally acclaimed STEM (Science, Technology, Engineering, Math) programs for inner-city youth. Underwrite the cost of a new boat to help us reach even more sailors in our quest to enhance Providence’s waterfront revival. Includes a boat-mounted nameplate inscribed with your message. 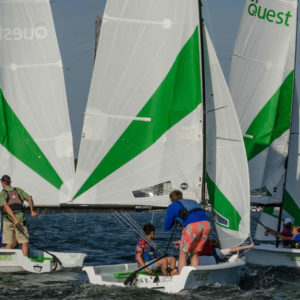 Underwrite the cost of a seasonal CBC group outreach program (sailing, racing, environmental) to provide inner-city youths with a safe, healthy activity. Note: Donations to CBC youth outreach programs and initiatives are wholly charitable gifts for which no goods or services are received and are tax deductible to the extent provided by law.